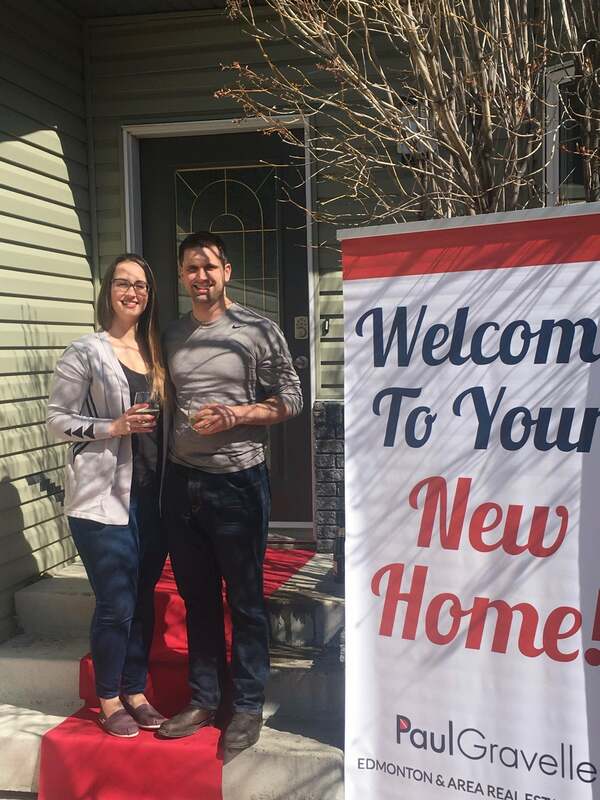 As first time home buyers in a new province, Paul provided us with a peace of mind. From start to finish he guided us through the process. He was very patient while we viewed numerous houses and always pointed out things and offered suggestions or ideas based on his experience. When it came time to purchase our home, Paul guided us step by step through all the paperwork and provided us with a great team of house inspectors, mortgage brokers and lawyers! The entire team made the house purchase a breeze! I honestly felt very at ease and never once was I overwhelmed! Paul has a great personality and a calming mannerism which made everything go very smoothly. Paul was always a text or phone call away and I always knew he would get back to me ASAP. Overall a great experience for myself as I can be very picky! While trolling real estate sites i contacted Paul to see a house that he was showing, He responded pretty quickly and showed us the house the next day. After Kyle and I chatted with him i got a really good impression. He was very honest, truthful and really personable with us. That's why we went with him. He was always there to answer my numerous amounts of questions, showed us a good chunk of houses and was super patient with me & Kyle. Once we found our house it went fairly fast. He had a really great home inspector come out (who showed us everything as much as he could as it was the tail end of winter). when we had to get quotes for the roof and no one was getting back to me he had someone out at the house 2 hours later. If i need pictures he was on top of that. It definitely put me at ease as i don't handle stress very well (especially being pregnant)! Welcomed us home once we got possession! If you need an agent definitely go with Paul. You will be in good hands and will find you the best place to call home! We had another realtor who wasn't giving us the service we needed and Paul made sure that didn't happen again. Even though we had a tight timeline, he listened to what we were looking for and made sure we found it! Thanks again for everything! Paul was very friendly and helpful. I had no doubt that he was working in my best interest and he gave me very good advice to ease me into the home-buying process. I would definitely recommend Paul to others! "Paul, from the first time that we met him was very easy to get along with and his personality matched ours. He was super patient with us and never made us feel pressure at all. He pointed out things that we never would have thought of when looking at houses. He returned calls quickly and even after the sale was complete he let us know that we could still call him at anytime. Which came in handy on a Saturday night when we needed him to contact the sellers because our alarm wouldn't turn off! He didn't seem bothered at all and was able to help us turn it off right away. Just one example of how Paul helped us from start till finish...and even after!" "Paul, We really want to thank you for your help with finding our home, your friendly, relaxed approach and lack of pressure was really appreciated. You could say of all the realtors we dealt with over the years, you have been the most helpful. Thanks"
"Paul we just want to say thank you very much! You did a lot for us, we very appreciate that. There was a few bumps but we held on. We will definitly refer you to our friends & family. Again thank you very much all the best!" "You did an excellent job for us. I would refer you to others if we know of anyone needing real estate service." "My experience of purchasing a home with Paul was a treat. This was the first home I had ever purchased and Paul was very good at explaning all the steps that needed to be done in order for the deal to be final. While showing me various properties he would point out the positives and negatives of the home and I felt that his priority wasn't to just sell me a house, it was to sell me the right house. "